How does heartburn differ from GERD, indigestion, dyspepsia, and gastritis—and what does heartburn feel like? What does heartburn feel like? It's that burning, irritating sensation in your chest. What's behind it? “Heartburn” isn’t actually a medical term, but it’s one of the most commonly used words to describe symptoms of the upper gastrointestinal tract. 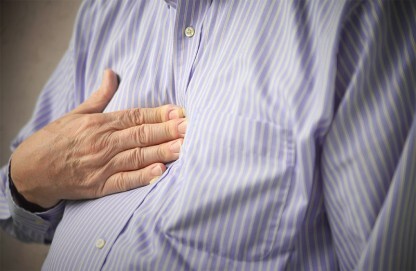 An estimated 20 to 40 percent of adults report having chronic heartburn. Yet most people are confused by the symptom and how it differs from indigestion, reflux, and other common stomach-related symptoms and medical conditions. So, what does heartburn feel like, and what causes it? Some of my patients have incorrectly named what they’re experiencing as heartburn, when, in fact, their symptoms were something else. Knowing what heartburn feels like is important, since both heartburn itself and symptoms that might be mistaken for heartburn can be signs of a serious health problem. Symptoms of heartburn often feel like pain or burning in the middle of the chest (behind the breast bone). The pain also may be located in the upper abdomen, or it may rise up to the throat or neck. The discomfort is worse after meals, in a reclining position, or when bending over. Symptoms of heartburn are caused by relaxation of the valve that separates the lower esophagus from the stomach (the lower esophageal sphincter), which allows stomach contents to enter and irritate the esophagus. For this reason, heartburn is often associated with regurgitation, an acid or bitter taste in the mouth caused by food or liquid coming back up into your mouth from the stomach. Heartburn is the most common cause of chest pain, accounting for approximately 50 percent of cases. The chest pain of heartburn can be so severe that patients mistakenly think they are having a heart attack. Sometimes, sophisticated testing is needed to determine if the chest pain is due to heartburn or to a heart attack or heart condition. How Does Heartburn Relate to GERD, Indigestion, Dyspepsia, and Gastritis? Indigestion is another non-medical term used to describe a variety of different symptoms, including heartburn and regurgitation, related to the upper gastrointestinal tract. In addition to heartburn and regurgitation, the term indigestion is often used to describe stomach-related pain or discomfort, which is also referred to as dyspepsia. 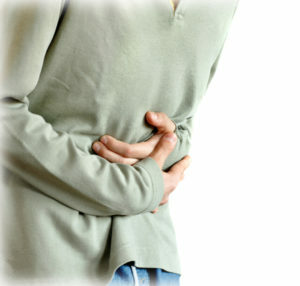 Gastritis is the medical term for inflammation of the stomach. It is characterized by pain in the upper abdomen and other dyspepsia symptoms. Gastritis is most commonly caused by infection with Helicobacter pylori, the bacteria that also causes ulcers; medications, especially aspirin and anti-inflammatory drugs; and alcohol. 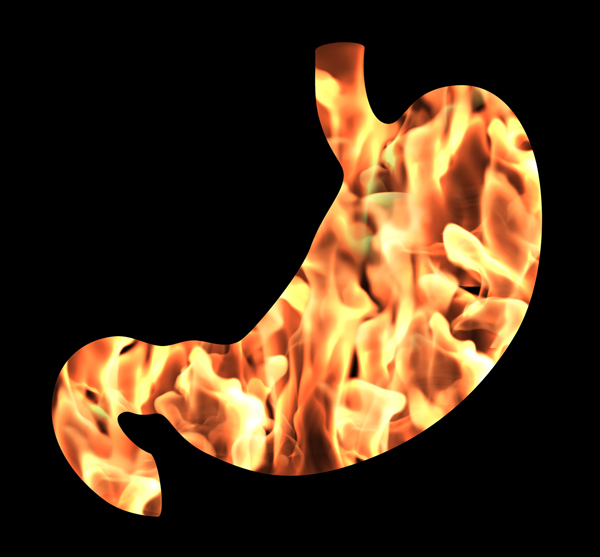 Gastroesophageal reflux disease (GERD) develops when chronic reflux of stomach contents causes troublesome symptoms (like heartburn and regurgitation) and/or complications (like cancer of the esophagus). Heartburn is the most common symptom of GERD, but not everyone with GERD has heartburn. Along with heartburn and regurgitation, people with GERD may experience symptoms of dyspepsia such as stomach pain, nausea, bloating, and belching. Difficulty swallowing occurs in approximately one-third of GERD patients and is associated with a sensation that food is stuck, particularly in the area behind the breastbone. What does GERD feel like? Other symptoms of GERD include those related to the respiratory system: chronic cough and asthma/wheezing result from the aspiration of stomach contents into the bronchi and lungs. About half of patients with asthma caused by GERD do not experience heartburn. Hoarseness, often experienced by GERD patients in the morning, results from irritation of the vocal cords by refluxed stomach contents. Laryngitis and dental erosions can also be symptoms of GERD if the stomach contents go all the way up into the throat the back of the mouth. If you suffer from more-than-occasional heartburn or indigestion, it is important that you seek attention from a health care professional as soon as possible. These may be symptoms of a serious medical condition like a heart attack, ulcer, or gallbladder disease. Furthermore, the symptoms of heartburn may be a sign of damage to the esophagus which can lead to scarring and narrowing of the esophagus or to abnormal cell growth, increasing the risk of cancer. Do you have an effective way that you deal with what we call heartburn? Share your experience in the Comments section below. Dig Dis Sci. 2014 Oct; 59(10): 2488–2496. World J Gastroenterol. 2014 Sep 14; 20(34): 12277–12282. a heart attack, abdominal pain, alcohol, anti inflammatory, anti inflammatory drugs, asthma, bacteria, belching, betaine hcl, bloating, bone, cancer, cancer of the esophagus, cause of chest pain, chest pain, chronic heartburn, disease gerd, food, foods to avoid, foods to avoid with heartburn, for heartburn, gallbladder, gallbladder disease, gastritis, gastroesophageal reflux, gastroesophageal reflux disease, gastroesophageal reflux disease gerd, gastrointestinal, gerd, having a heart attack, health, heart attack, heart condition, heartburn, heartburn feels like, heartburn remedies, helicobacter pylori, indigestion, indigestion reflux, infection, inflammation, inflammation of the stomach, Laryngitis, medical conditions, natural heartburn, pain, reflux, report, stomach bloating, stomach pain, symptom of gerd, symptoms gastritis, symptoms of gerd, ulcer, ulcers, upper abdominal pain, what does gerd feel like, what does heartburn feel like, wheezing. After taking Nexium for seven years, as prescribed by my gastroenterologist, I was told I had developed osteoporosis as a result. At that point my doctor wanted me to take shots for the osteoporosis. I declined after researching the side effects. I have since been taking Pepcid and increasing bone strengthening exercises. I no longer seem to have any symptoms of GERD and my bone scan shows improvement in my bone density. Lesson learned: Don’t take drugs which physicians are ever so quick to prescribe before doing extensive research and deciding for yourself. The “medicine” all too often does much more harm than good. Jacky sionu new technique can cure heartburn, and he is on the facebook.